Tommy had been a club coach working with all ages and abilities and subsequently a coach working at the very highest international level. Where did he go next? We know already that he was not one who let the grass grow under his feet, always looking ahead. It is sometimes instructive to look at where a person might go and compare it with what they actually did. Tommy could have done as many others did and just leave the sport on the grounds that he had done his bit and it was time for others to take over. He could have lived off past successes and spent the next 20 years giving the same lecture/s, telling the same anecdotes as an after dinner speaker in return for the appropriate fee. He did neither of these, and to understand his decision it must be remembered what he had learned in the beginning back in the Bellshill YMCA where he noted the many ‘life lessons’ he had learned. He had to put something back into the sport and the approach to any athlete at whatever level had to be a holistic one. Where did he go next? It was a natural fit for Tommy to link up with Winning Scotland Foundation and it is typical of the man how he managed to engage with them. It all started when he was challenging Scottish Athletics and The Scottish Institute of Sport to help him address the gap in financial support for Susan Scott in her quest to win a medal in Melbourne Commonwealth Games and then become world class. Tommy took a professional business approach to the challenge and compiled a presentation to SAL and to The Scottish Institute of Sport. To understand the Boyle journey, we must also be aware of his business career. Tommy rose through the ranks in Honeywell, where he was spotted as having potential by vice presidents Jim Adamson and Tom Frame who mentored him through his journey, they guided Tommy to apply for every engineering job which came up and supported him to try again when he was unsuccessful, teaching him life lessons about perseverance and tenacity until eventually he succeeded, he started on the staff as a junior engineer then engineer and senior engineer eventually becoming a staff engineer and trouble shooter, experiencing far reaches of Phoenix, San Diego and many European Honeywell sites. Tommy describes this Journey as critical to his learning about growth mindset, and business efficiency and singles out his research into Japanese methodology as a breakthrough in understanding the importance of doing things right first time. It’s called the Kaizen Methodology. In 1989, David Keys his then CEO who had spotted leadership qualities, took him aside and said “Your sabbatical is over (Tommy was aware they allowed him a lot of slack to pursue coaching ) I need you to take over production engineering” That triggered his decision to reflect and then change his strategic direction in coaching. Tommy and his team knew that eventually the significantly cheaper Chinese would prevail, and he spent this final two years successfully closing the plant and securing jobs for his staff. The story began when he was coaching Susan Scott, having massive experience by this time Tommy knew that to succeed in today’s high-performance world athletes required to be adequately supported financially. In 2004 Tommy with a typical business led approach to the challenge, compiled a presentation to SAL and to the Scottish Institute of Sport. It was an objective picture of where they were and what they required to be competitive in Melbourne. He challenged Scottish Athletics and The Scottish Institute of Sport to help him address the gap in financial support for Susan Scott in her quest to and win a medal. In an article in the Scotsman we read “… Boyle might have ended his active involvement in Scottish sport a couple of years ago, when he retired from his post in the electronics industry. But he turned down offers to coach abroad in favour of joining the Winning Scotland Foundation, the company founded and partly funded by former rugby international Sir Bill Gammell. Boyle is now the director of Positive Coaching Scotland (PCS), the programme, run by the Foundation, which works with parents, councils, schools and other organisations. PCS aims to increase participation in sport by school-age children way beyond its current 20 per cent or so, and to keep them involved by ensuring parents and others offer positive encouragement. It is a bold, vastly ambitious initiative, one which Boyle thinks could take five to ten years to bear fruit. Several councils are already on board. “The real target is the parents of the 80 per cent of children who are not doing sport, or who are having bad experiences in sport and drop out,” he explained. “If we believe, like most top business people and top sportspeople believe, that sport is the greatest vehicle there is for teaching life lessons, then we are failing as a nation. 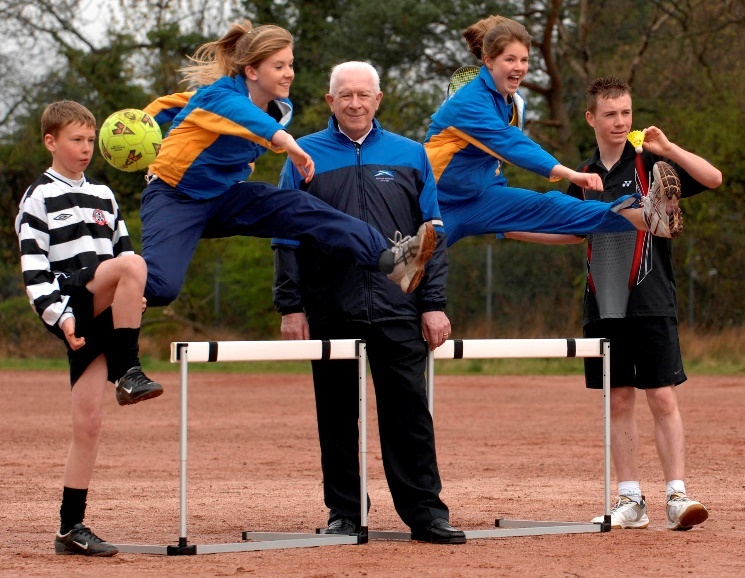 “We need to start recruiting quadruple the number of young people into sport. And that needs to start now. “Lest anyone thinks Boyle espouses a woolly, optimistic approach in which competition is frowned on and there are prizes for everyone, he made it clear he believes kids love to compete, and that their will to win should be encouraged. What is more, although he insists that enjoyment is paramount, he is also convinced that hard work is the key to success. “We need to teach people at a young age that they need to work harder,” he continued. “Tom McKean and Yvonne Murray basically worked harder than any athletes in Scotland, probably in Britain, and probably in the world at that time. The Mission at WSF began in March 2007: Tommy was invited to do a bit of consultancy consisting of researching what were the issues in sport in Scotland which affected participation and performance. He spent four months researching the problems in youth sport. 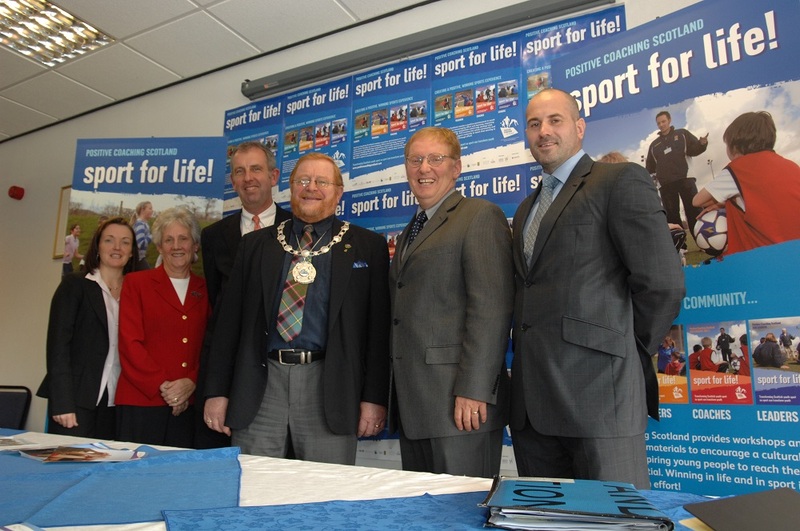 This involved in depth repeat visits to eleven local authorities, engaged with most major NGBs and Sport Scotland. 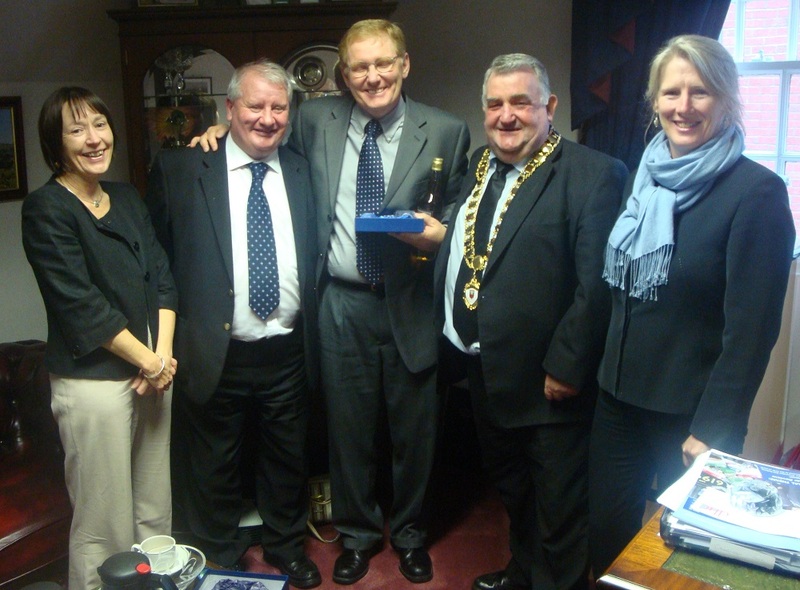 Critically he also engaged with education at a national and local authority level. It was a massive research project using his vast coaching knowledge, listening to people in sport, to local authority sports professionals and vitally volunteers in local sports clubs. The mission was to better understand what the major issues were in sport and society and how WSF could help. Tommy remembers long days and nights on government web sites trawling through stats, analysing trends at times disappearing down blind alleys guided by the experts in sport and local authorities many with very blinkered views. 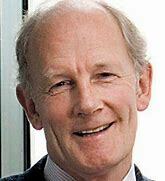 However, with typical tenacity he worked relentlessly and gradually emerged a clear picture which pointed to societal issues such as less physical activity, overweight and obese children at ever younger ages which resulted in reduction in physical literacy skills He called it a ticking time bomb for the NHS and the health and wellbeing of the nation. Why was this of interest to Tommy and WSF? Their mission was “to help young people become the best they could be in sport and life”, recognising that sport is the greatest vehicle there is to teach young people life lessons like effort, teamwork, respect, lessons, which would them be successful in their working life. Positive Coaching Alliance was a business model with at that time thirty employees. Together with Project Manager Clair McDonald he headed to California explored every aspect of their business model, what they did, how they did it, would it work in Scotland and critically how much it would cost to licence. Tommy’s reputation preceded him, and his first visit was to Stanford University Sports Department. Jim Thompson was a giant amongst men a quietly spoken man with a massive dream to spread PCA across the USA. Being a business lecturer at Stanford, he knew how to run a business and gradually built his foundation into a scale-able model which could expand across the United States: one city, one state at a time, each new chapter as he called them requiring to be self-funding from delivering workshops and resources to sports clubs combined with philanthropic giving which was massive in the US. Tommy remembers the day Tina Seyer https://www.positivecoach.org/team/syer-tina took him to Stanford University Sports Department., He still says, ” WOW it was heaven for a coach and athlete”. To say Tommy Boyle was in his element at WSF is a gross understatement, he was now doing what he had always wanted to do using his experience and expertise to help young people in Scotland. Tommy says it was a wonderful journey, working with a fantastic team with total commitment and support from Sir Bill Gemmell. Bill and his wife Janice were awesome people, quite unique in their giving to society. Bill identified the vision Tommy had and gradually used this to reshape the direction of WSF away from the initial high-performance ideas to the niche of Cultural Change in Scotland. Tommy says “Bill is a fantastic guy to work with, always amazed me when he would turn up at grass roots workshops and join the audience and just soak it in. We had a very special relationship and I will forever be grateful to him for allowing me to pursue my dream over nine great years at WSF. Tommy realised that with this support he had to produce results and for the first two year of the pilot he threw himself at the challenge, working long hours, six day a week. 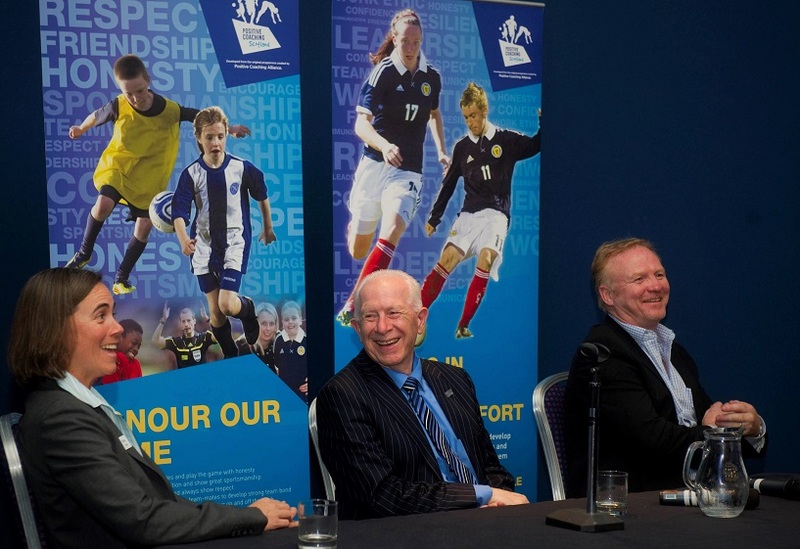 Tommy and Claire recruited Grant Small to manage the Football Pilot in Fife (the SFA regional manager was Mark Munro who is now CEO of Scottish Athletics). He says, “The pilot local authorities were phased, and I met fantastic people in each, People who made a real difference in their local authority or sport. David Maiden was the driver in Fife he was an experienced operator from education and sport and guided us through many difficult situations together with Jen he made it happen wow! Glasgow was a tough gig politically however we got there: the first workshops were in Drumchapel and the whole WSF team helped. It was great. Tommy worked hard using his own credibility to get the maximum press coverage and his friend, journalist Doug Gillon did several articles, one on a parents Workshop in East Renfrewshire, which was also covered at length in The Scotsman. Tommy even got the Minister of Sport aware of PCS. Tommy, in his capacity as Director of Positive Coaching Scotland, at the Semi-Final Draw for The Scottish Communities League Cup where details of a new partnership between the Scottish Government, the Scottish Football League and the Winning Scotland Foundation to promote the competition’s values of Respect, Responsibility and Tolerance were launched. After all that work – long hours, travelling not just the length and breadth of Scotland but across the Atlantic, what does Tommy Think now as he reflects on his involvement on other projects at the Winning Sports Foundation? 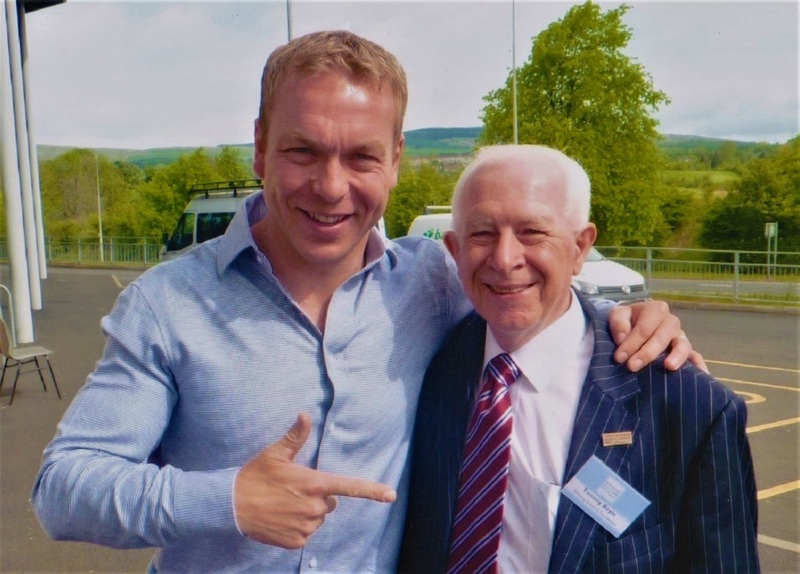 You can see some of the many people that he met on this journey if you follow the links below the photograph with Chris Hoy. The question still hangs in the air though – IS THERE MORE TO COME FROM COACH BOYLE?